You've surely already read about what we saw during the E3 demo of BioShock Infinite, from the sky-lines to Elizabeth's tearing ability and all of the other quirks of the floating city of Columbia. But perhaps that's not enough for you. Perhaps you want to pick over the experience yourself, looking for succulent secrets and tasty hints that we game press types may have somehow missed. In that case, you're in luck: Ken Levine says the entire 15-minute demo will be shown on Spike TV on July 7. Even before that, you can watch the full first two minutes of the award-winning demo above. Keep an eye out for our favorite part: "golden" American presidential statues that Booker dismisses with a certain monarchical reference. History! Metaphor! Meaning! No wonder this game's so impressive. BioShock Infinite E3 demo video coming July 7, first two minutes right here originally appeared on Joystiq on Thu, 30 Jun 2011 18:30:00 EST. Please see our terms for use of feeds. The adventures of Captain Smiley have gotten a little cheaper this week, as Twisted Pixel has announced a permanent price drop for its pen-and-ink blaster, Comic Jumper. Originally priced at 1200 MS Points ($15), the panel-hopper will now be available for 800 MS Points ($10). Of course, if you really want to save some money, Comic Jumper is still part of the current Xbox Live Deal of the Week lineup. This week only, the new price has been cut in half, dropping it down to an impulse purchase of $5 for Xbox Live Gold members. If you consider the four distinct comic styles contained within the game, it works out to $1.25 per issue. 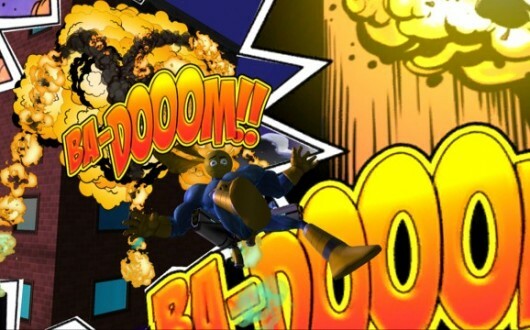 Comic Jumper falls to $10 permanently originally appeared on Joystiq on Thu, 30 Jun 2011 18:00:00 EST. Please see our terms for use of feeds. If you're ready to quick-draw some funds from your bank account, and your trigger finger is itching to click "buy", you'll be pleased to know that some new Red Dead Redemption DLC is on the way. We don't exactly know when, but Rockstar mentioned on Twitter that the release date and details for this unnamed pack will be revealed "in the coming weeks." Maybe this time it'll be about old-west Draculas, or invisible cowboys. 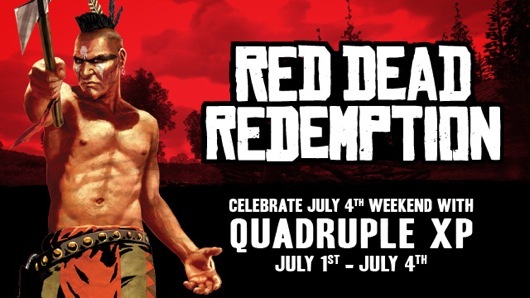 In the meantime, if you're looking for something to do in the currently released RDR content, Rockstar is hosting a quadruple XP event through Monday. Your cowpoke will get four times as grizzled! Update: The new DLC is likely the free "Fan Appreciation DLC" announced during E3, with new "fan-favorite" multiplayer characters, and new content for various multiplayer modes. Red Dead Redemption DLC announcement coming soon, quadruple XP now originally appeared on Joystiq on Thu, 30 Jun 2011 16:00:00 EST. Please see our terms for use of feeds. 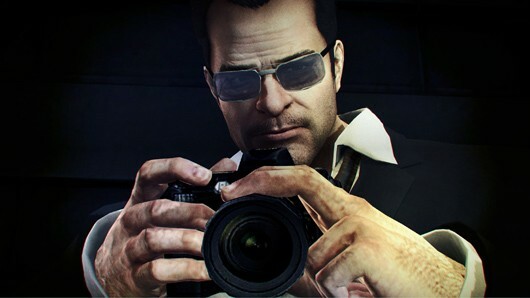 Capcom apparently doesn't want us or anyone else knowing the launch date for upcoming Dead Rising budget spinoff, Dead Rising 2: Off the Record. Though the Japanese publisher's European blog posted details of the game's release date recently -- October 11 in North America and October 14 in Europe, by the way -- the post has since been pulled. Thankfully, some quick Googling reveals that the post did in fact exist at one point. It's always possible that the release dates were incorrect, but we're more inclined to believe it was simply posted before someone important said, "Go ahead." We've asked Capcom for confirmation, but haven't heard back as of yet. Dead Rising 2: Off the Record goes on sale Oct. 11 in NA, Oct. 14 in EU originally appeared on Joystiq on Thu, 30 Jun 2011 14:20:00 EST. Please see our terms for use of feeds. 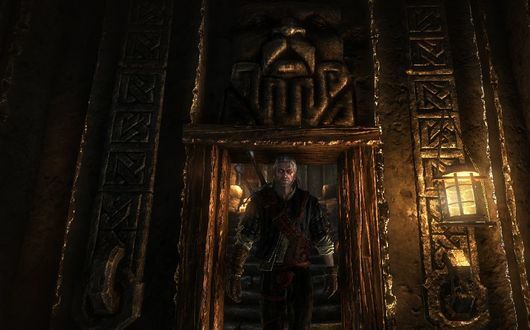 The Witcher 2 is coming to Xbox 360, and not since EA's landmark Skitchin' have we been so excited for a game with a made-up "itch" word in the title. But what of our friends in Western Europe, Australia, New Zealand and the Middle East? Will they have to live with an itcher they can't scratcher? Not if THQ has anything to say about it. And it does. Because it publishes games. 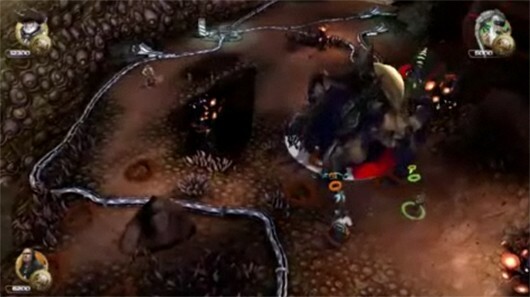 The company announced this morning that it will be bringing the game to 360 in the aforementioned territories. We'd still argue that North American publisher Atari is a better fit for a game about prestidigitation (as its continued existence as an operating entity almost certainly required use of the dark arts), but we'll take what we can get. THQ to publish The Witcher 2 for Xbox 360 in several international regions originally appeared on Joystiq on Thu, 30 Jun 2011 13:30:00 EST. Please see our terms for use of feeds. Yesterday we reported that Limbo may be PSN-bound, if a Korean Game Ratings Board listing sought by Sony Computer Entertainment Korea is any indication. We reached out to developer Playdead for comment and CEO and co-founder Dino Patti got back to us today confirming the news. "This might be the second time around we have been waiting for," Patti said, referencing his quote from last May in which he said, "You won't see a PS3 or PC version this time around." Patti said that "Limbo is in production for Steam and PSN, and is coming very soon." With a release date of "very soon" he predictably said more details would be coming shortly. The small Playdead team is handling both ports itself, while also working on a new IP. "To be honest, we want as many people to play our games as possible," Patti told us last year at the Indiecade festival. "If we end up going exclusive, we may do it for various reasons, but we just want as many people to play the game as possible." 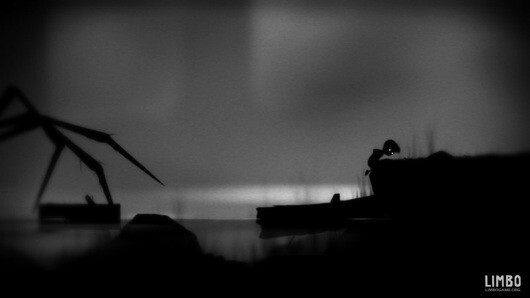 Even after a period of exclusivity, there are a lot more gamers who are going to be able to play Limbo "very soon." Limbo coming to Steam and PSN, Playdead handling the ports originally appeared on Joystiq on Thu, 30 Jun 2011 12:50:00 EST. Please see our terms for use of feeds. Half-Minute Hero wasn't the only game to hit Xbox Live Arcade this week. Joining its high-speed hijinks are the bone-crushing antics of BackBreaker Vengeance, and the bug-blasting battles of Galaga Legions DX. Check out the latest XBLA in Brief to see if either one is up your alley. Spoiler: Both of them take significantly longer than half a minute. 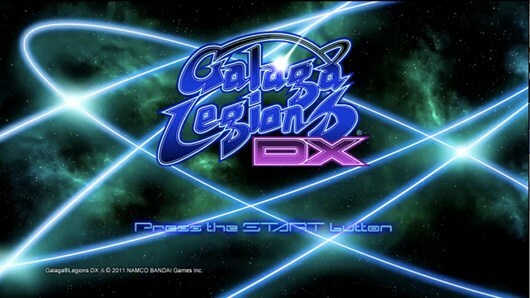 XBLA in Brief: BackBreaker Vengeance, Galaga Legions DX originally appeared on Joystiq on Thu, 30 Jun 2011 11:00:00 EST. Please see our terms for use of feeds. Footage of a downloadable title that was purportedly in the works at Square Enix's Los Angeles-based studio is being featured on Siliconera. The Western-themed top-down shooter, titled Project Dropship, was not formally announced before its quiet cancellation, but based on the footage it looks like it was fairly far along in development. It also looks and sounds like it had a Firefly thing going for it, which is really, really working for us. Or, rather, it would have worked for us. Now it just makes us sad that nobody's made a Firefly game yet. What gives, entire video game industry? Square Enix's canceled top-down shooter Project Dropship revealed originally appeared on Joystiq on Thu, 30 Jun 2011 10:30:00 EST. Please see our terms for use of feeds. Our five-star review of Child of Eden praised just about everything the game had to offer, short of its diminutive length. "You can beat it in a single sitting (or, as the case may be, standing), with the game's five chapters clocking in at a scant 90 minutes," our own Griffin McElroy wrote. "It ends with a swell, and leaves you with a despondent, unanswered wish for more." While this Amazon deal won't deliver any more Child of Eden, it can help deliver some Child of Eden to those of you still positioned squarely on the fence. At $35, a 30% savings from its usual $50 asking price, Child of Eden may be a no-brainer for some of you; for others, nothing short of $20 will do. We're not judging you ... but you're cheap. 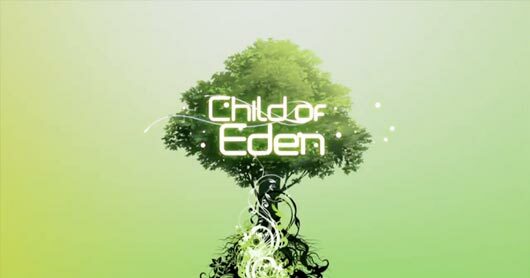 Child of Eden down to $35 at Amazon (you're running out of excuses!) originally appeared on Joystiq on Thu, 30 Jun 2011 09:30:00 EST. Please see our terms for use of feeds.